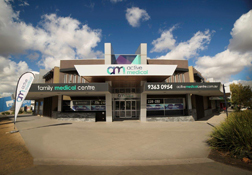 Active Medical’s experienced and caring team of doctors work from our new medical centre located in the heart of Caroline Springs at 228-232 Caroline Springs Blvd. Active Medical offers bulk billing to all patients with a current Medicare card for all consultations. At Active Medical we are committed to the ongoing active management of your family’s health with a team of experienced doctors providing acute and preventative care to guide your family to a healthier future. Our medical clinic offers patients comprehensive health care by experienced GPs and allied health professionals. Active Medical is here to listen to your health concerns and help you plan for a healthier future. See our Active Medical GP Profiles to learn more about our team and their areas of special interest. 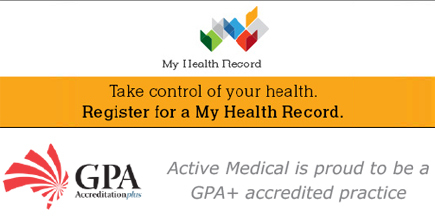 Active Medical is proud to be a GPA+ accredited practice - official recognition for high standards in all aspects of health care.